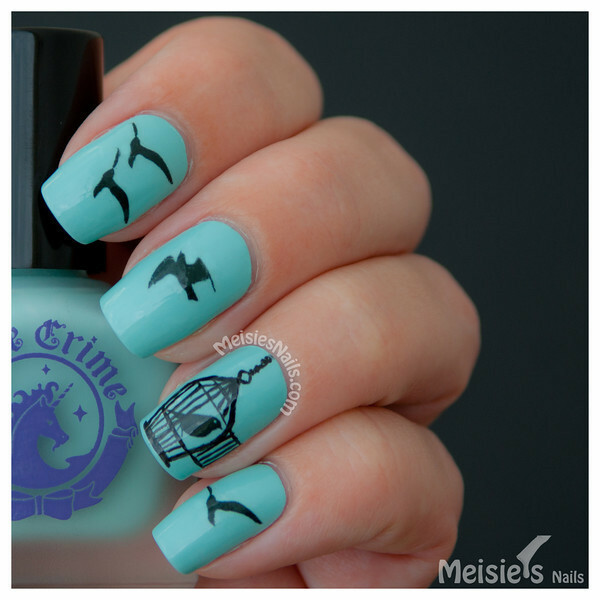 Meisie's Nails: Fly, birdie! Fly! I hope you all had a great weekend! I'm still a week away from going home, so I've been playing with the polishes and nail art items I have with me. I was inspired by Copy That, Copy Cat Nails' Free as a Bird design. She did it all freehand, but I used the birdies nail tattoos by Fake Tattoos and freehand painted the cage around the bird with black acrylic paint.